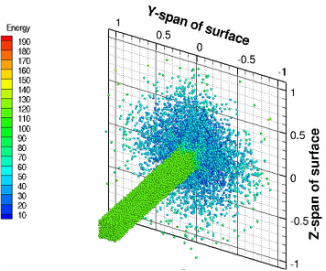 Particle systems can be categorized/differentiated based on the frequency of inter-particle contact interactions experienced during the time-scale of the system being studied. For very dilute/sparse systems, the inter-particle contact interactions are immaterial, and individual particle dynamics under the influence of external forces/background flow solely govern the system dynamics. The other extreme is the case where particles are in “enduring” contact – over durations comparable to the larger time-scales of the system. This is frequently (for dry media) referred to as the “granular limit”. For intermediate systems, it is often that case that particle contact durations are notably smaller compared to time-scales of interest. For numerical modeling and simulation of such systems, a substantial portion of the computational burden lies in resolving the inter-particle contact interactions. A central focus of my research has been the development of specialized nearest-neighbor based algorithms tailored for such “collisionally dominant” systems that efficiently models the contact interactions and reduces computational costs. 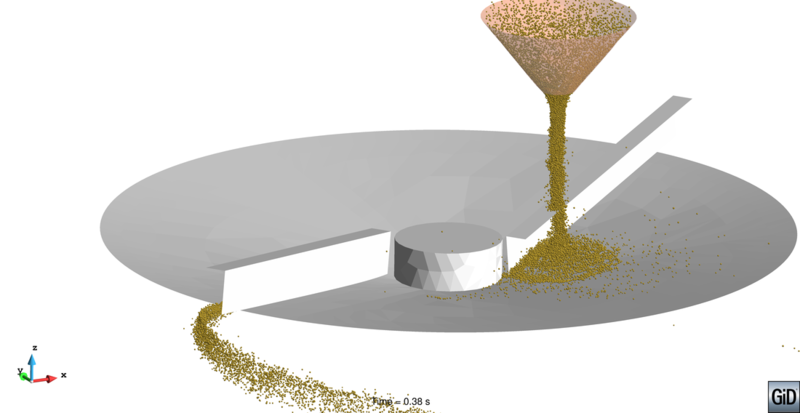 A model system I investigated using these numerical methods is a dry granular jet impacting a target surface. This system is particularly interesting as the interference between the oncoming jet and particles reflected from the surface lead to a rapidly colliding regime in the proximity of the target surface. My algorithms were able to successfully capture this phenomenon. I also employed a discrete-continuum coupling to relate granular jet dynamics to stresses and deformations within the target material, enabling prediction of erosive wear.